The outburst of Blockchain technology is everywhere. In fact, almost every day, we here about blockchain and is likely to be mentioned irrespective of the industry. Another industry that can be streamlined and improved using blockchain technology is the healthcare industry. If blockchain and healthcare are incorporated, it can enhance and fix compliance pertaining to the spread of global healthcare system. 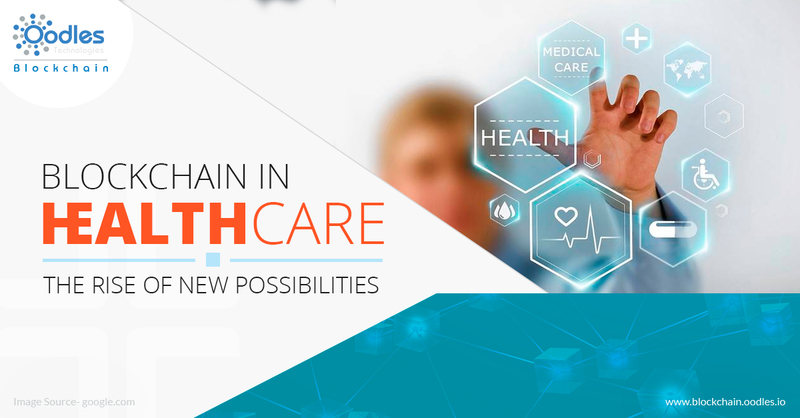 Read on to know how blockchain and healthcare can work together for the betterment of the latter. Significantly, blockchain is making a prominent contribution to the fintech industry and has just set out to thrive the health IT thanks to some achievable and speculative applications. In fact, healthcare stakeholders (players) have realized the sea of opportunities that blockchain is presenting. However, in order to bring more power to this technology and execute use cases of blockchain and healthcare on a global scale, the development of new frameworks is a must (important). Now, keeping aside all the hype around Blockchain, here we shrug off the cover and discuss a few of the most prominent use cases of this distributed technology in healthcare. Health IT solutions backed by Blockchain can offer robust technological solutions to numerous implications in healthcare application development work such as managing big data, data security & integrity, data interoperability, and more. It’s because Blockchain can help develop a cryptographically secured data exchange system, which cannot be revoked. Further, this enables access to the historic and real-time patient data and consequently, lowering the data reconciliation cost. As per a report published by Identity Threat Resource Center (ITRC), healthcare shares 30% of all U.S data hacks (breaches), second to the business sector. In the existing system of healthcare devices, it is challenging for the Health IT infrastructure to support or accommodate the emerging IoMT (Internet of Medical Things) ecosystem. Studies indicate the number IoMT devices will be towering and may count approx. 20-30 million devices used worldwide by 2020. In such case, blockchain backed health IT solutions can ensure reliability, security, and privacy pertaining to the use cases of IoMT (Internet of Medical Things). According to a report by WHO, it came in the light that 30% of drugs supply and selling in developing countries happen to be counterfeit. However, by developing a pharmaceutical system powered by Blockchain Technology and creating a chain-of-custody, it is possible to track the supply chain at an individual product level. Additionally, functionalities like smart contracts and private keys can play a vital role as they can act as a proof of ownership to find out the drug source. e drug source. Definitely, Blockchain can offer convincing opportunities for the healthcare sector. It can aid in tackling around a few complications, from billing fraud issues to supply chain provenance to cybersecurity. Bringing out the best possible use cases of blockchain to the fore in IoT and mobile applications can let this technology sprout its wings and provide best inimitable advantages.